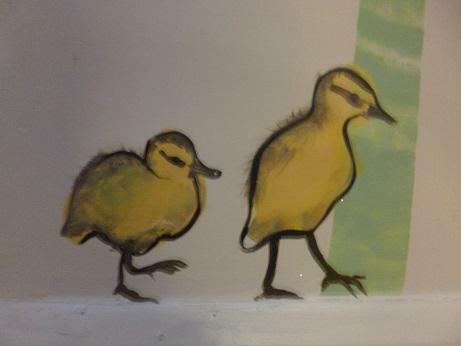 The Nest is the collective name for our FS2 (Reception) classes, Gosling and Duckling. Our teachers are Miss Howlin and Miss Baker, and our teaching assistants are Mrs Watson, Miss Sharp, Mrs Clifford and Mrs Rutterford. For those of you who haven't been able to attend our workshops so far this year, the slideshows for each are on this page - just scroll down to the Workshops section of the page. Here is the YouTube link for the pronunciation of the sounds heard during the Phase 2 Workshop and a Phase 3 sounds video. Here are some links to free phonics websites where you can find lots of online games in each phase. There is also a good website called Topmarks where you can find phonics and maths games for your child to play. We also really recommend Cbeebies Numberblocks - catch it on bbc iplayer but it is also available on DVD which means you can view it in order. It is very good at developing early maths skills - so much so that experts in teaching maths have created a set of teaching materials for teachers to use alongside each episode. It also links really well to work that your children will do in Year One.